Sen. Bernie Sanders (I-Vt.) has asked supporters of his presidential campaign to donate to Norwich native Zephyr Teachout’s campaign for a congressional seat in upstate New York. 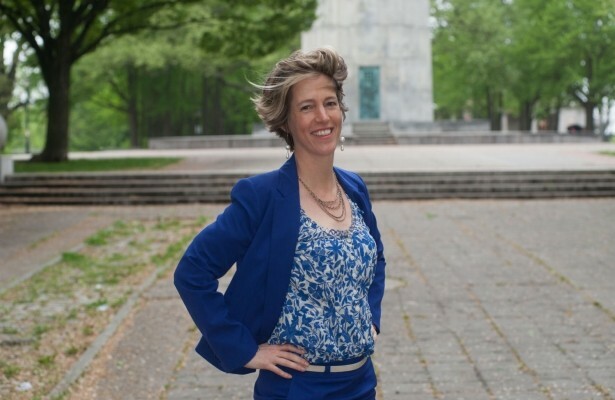 Teachout, a professor at the Fordham University School of Law, is a liberal darling who wrote the book Corruption in America. She launched a primary challenge against New York Gov. Andrew Cuomo in 2014. She’s running for a seat in New York’s 19th district, which is centered in rural Dutchess County, outside Albany. Sanders asked supporters to donate to his campaign $2.70 — a thousandth of the maximum campaign donation by an individual allowed by federal law — pledging to split the cash with Teachout. Sanders sent similar solicitations on Wednesday to support liberal Congressional candidates in Washington and Nevada. Sanders was meanwhile campaigning in New York ahead of a crucial presidential primary on Tuesday.